I have taught 1,000s of students from over 85 countries. 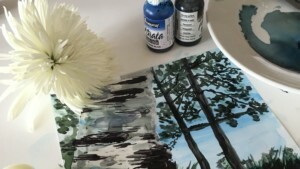 Whether you want to get in touch with your inner artist, provide a special gift to someone, or looking to learn a new skill, my classes are 100% guaranteed and you have lifetime access to the materials once purchased through Udemy or you can sign up for a Skillshare account and take as many classes as you want for a membership fee. The advantage of Udemy is once you purchase the class you have it for life. The advantage of Skillshare is you buy a membership, you can take any of my classes anytime you want for no extra cost. 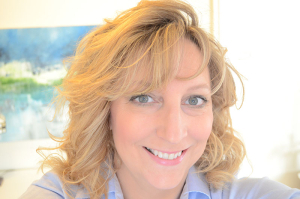 Links to Udemy classes are below with special offers for you. Go here to signup and view the classes available on Skillshare. A full list of materials is included with every class and items can be found at your favorite local art shop or online with most retailers who offer art supplies. Click Begin Learning to be taken to my classes on Udemy. If you use my links, you will save money off any lifetime membership to a class. Remember to sign up for my email list if you want even better specials and to be notified when new classes are available. Classes may be offered to my email subscribers for as little as $10 when they first launch for a limited time. You can signup here. Here is my Amazon store where you can get materials for the online courses as well as resupply if you are out. I only put what I personally use in my classes or personally in the store. Visit the online store here. 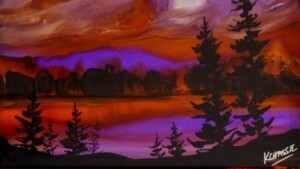 Step by Step painting for beginners with Practice demos and project to create a beautiful sunset painting of your own. All my classes through Udemy come with a lifetime membership, so as long as Udemy is still around so will your course. Abstract Pendant Art Necklace – DIY Resin & Alcohol Ink Step by Step Jewelry for Beginners. 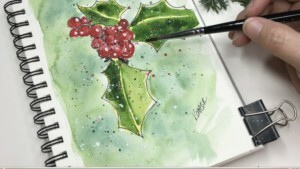 Step by Step how to paint Holly berries and Snow | Warm Up Painting that is project based using Watercolor and Gouache. Get Playful creating this beautiful Alcohol Ink Zen Tangle Flowing Art piece, great for journaling and warm ups. 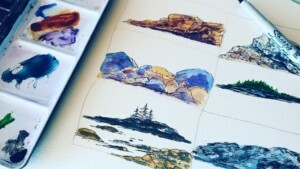 Exploring Watercolor rocks – Create 6 Simple Demo’s to bring your Landscape or Seascapes to Life. 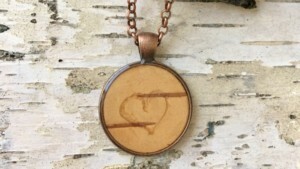 Create the perfect gift – A Fun easy project that creates such a cheerful & fashionable piece of natural wearable art. 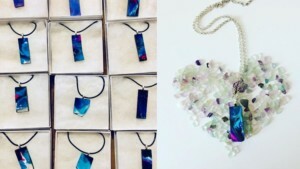 Make your own fashionable skinny mold jewelry using alcohol ink and Art Resin! Simple Project for Beginner Oil Painters, step by step, impasto seascape palette knife painting easy clean up. 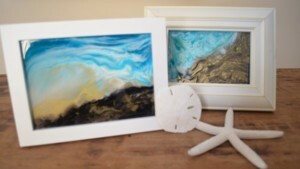 Create some Alcohol Ink Art and Resin projects for the home. 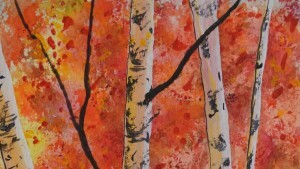 Loosen Up and Create some Abstract Alcohol Ink Art on Yupo and Tile using a Straw, Canned Air and an Air Brush..
Want to learn to create a lovely Summer Birch Tree Scene? This course is simple and easy to follow, plus minimal materials are needed to start painting today. 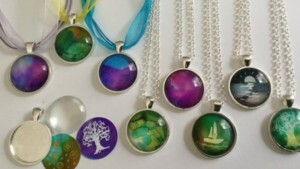 Want to learn to make a jewelry using art resin (pendant and earrings)? This course is simple and easy to follow, plus minimal materials are needed to start painting today. Want to learn to make a watercolor beach roses scene? This course is simple and easy to follow, plus minimal materials are needed to start painting today. 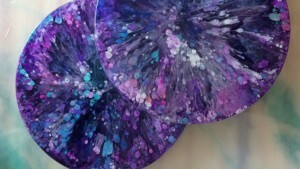 Want to learn to make a resin art – acrylic, ink & mixed media zen disk painting? This course is simple and easy to follow, plus minimal materials are needed to start painting today. 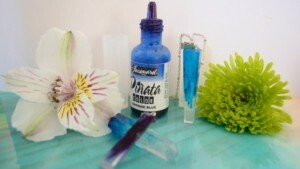 Want to learn to make jewelry using alcohol inks? This course is simple and easy to follow, plus minimal materials are needed to start painting today. 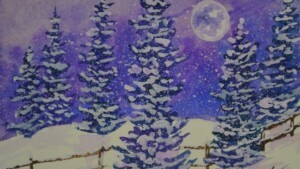 Want to learn to paint this watercolor art winter holiday scene? This course is simple and easy to follow, plus minimal materials are needed to start painting today. 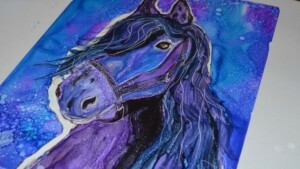 Want to learn to paint this paint a detailed magical horse with alcohol inks on yupo paper? This course is simple and easy to follow, plus minimal materials are needed to start painting today. 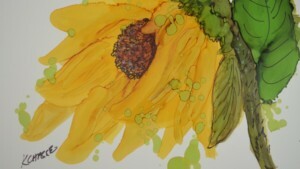 Want to learn to paint this alcohol ink Lilac and Sunflower scene? This course is simple and easy to follow, plus minimal materials are needed to start painting today. 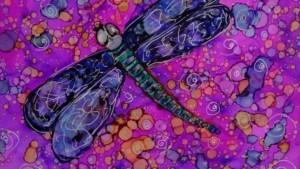 Creative Alcohol Ink Dragonfly Painting Steps Dots and Fun! 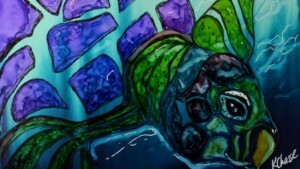 Want to learn to paint this alcohol ink dragonfly scene? This course is simple and easy to follow, plus minimal materials are needed to start painting today. 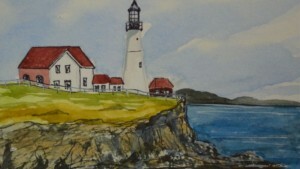 Want to learn to paint this Portland Headlight watercolor scene? This course is simple and easy to follow, plus minimal materials are needed to start painting today. Have you tried inks yet? 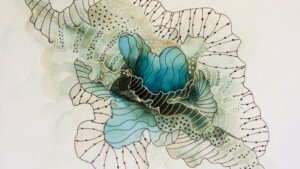 This is one of my most popular online classes and you will create a beautiful ink art scene. Let’s start painting today. 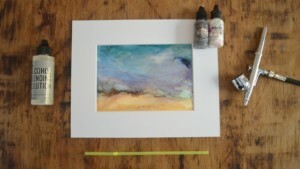 Want to learn to paint this beautiful alcohol ink sunset scene? This course is simple and easy to follow, plus minimal materials are needed to start painting today. 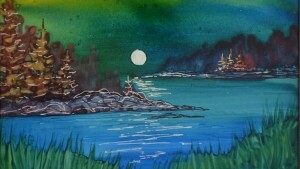 Want to learn to paint this alcohol ink Porland Headlight scene? This course is simple and easy to follow, plus minimal materials are needed to start painting today. 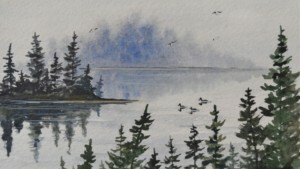 Beginner watercolor course – Learn to paint this Maine lupine scene. I will provide a PDF with all the necessary materials for you to get started on your next masterpiece. All my classes through Udemy come with a lifetime membership, so as long as Udemy is still around so will your course. 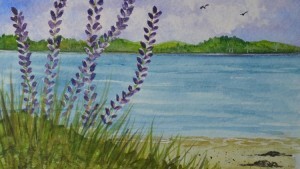 Beginner watercolor class – Learn to Paint this Maine Lupine Scene. 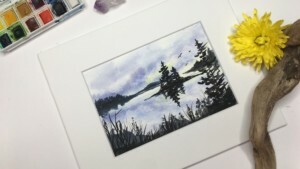 The lupine watercolor painting class is broken down into small easy steps and I’ll paint along with you. If you have questions as you go along please feel free to send me a private message or ask openly on the discussion board. 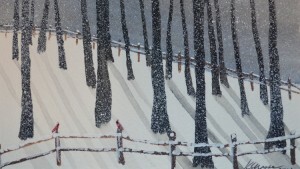 We will be painting a beautiful winter scene. 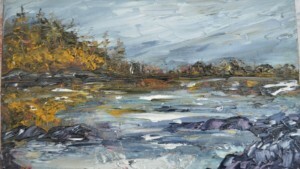 Living in Maine, we get to watch the snow fly every year and adding snow to my art classes is only natural. 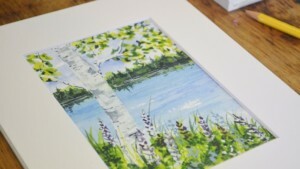 I will also show you how to frame your work of art once completed. All my classes through Udemy come with a lifetime membership, so as long as Udemy is still around so will your course. 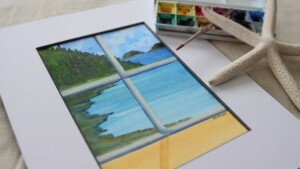 We will be painting a beautiful window lake scene. 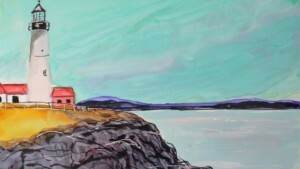 On the Maine coast you can see this kind of view through many cottage windows. I will also show you how to frame your work of art once completed. All my classes through Udemy come with a lifetime membership, so as long as Udemy is still around so will your course. We will be painting a beautiful Lake with loons. All my classes through Udemy come with a lifetime membership, so as long as Udemy is still around so will your course. 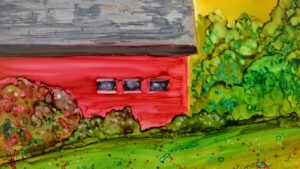 We will be painting a beautiful country barn alcohol ink scene. All my classes through Udemy come with a lifetime membership, so as long as Udemy is still around so will your course. Safety note when dealing with any kinds of paints. When using paints and chemicals please adhere to any and all manufacturer safety guidelines with these products. If you have specific safety questions or concerns please contact the product’s manufacturer.